If you have upgraded to Lion and you’re running MacVector 10 to 10.6 (earlier versions will not run) then anytime MacVector displays an error message it will crash. MacVector 10.6 was developed before even Snow Leopard was released and is quite long in the tooth now. 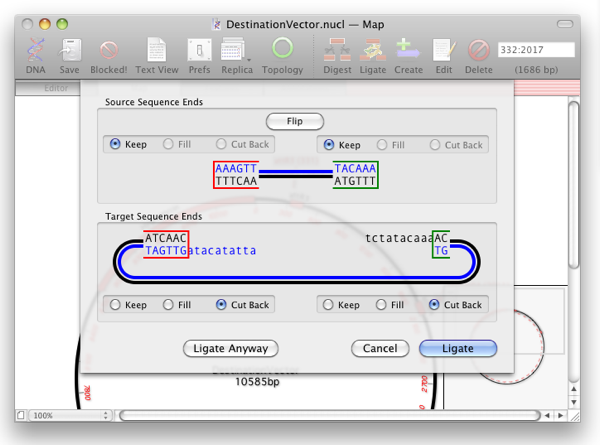 Why not take this opportunity to upgrade to MacVector 12? As well as a 25% discount (before the end of September) there’s a load of new features that will make you more productive, including some great features for cloning. Upgrading now will also include a free update to MacVector 12.5 which will be out in a month or so. This entry was posted in General, Releases, Tips and tagged OSX. Bookmark the permalink. Both comments and trackbacks are currently closed.